Click on the cover photos for more information about any of these works! ​"Destination: Adventure! Book 1" features piano solos at the late elementary level inspired by famous people and places from all around the world! Selections from this book are included in the 2017-2020 National Federation of Music Clubs Junior Festival List. Click HERE to watch these pieces on YouTube. "Destination: Adventure! Book 2" features piano solos at the early intermediate level inspired by famous people and places from all around the world! Selections from this book have been featured on contest lists for the Minnesota and Iowa Music Teachers Associations. "Destination: Adventure! Book 3" features piano solos at the intermediate level inspired by famous people and places from all around the world! ​"Preludes to Mastery" features piano solos in Baroque, Classical, Romantic, and Contemporary styles. Book 1 is at the early intermediate level and includes key signatures of up to three sharps and three flats. Click HERE to read excerpts from the review of these books featured in the January/February 2017 issue of Clavier Companion magazine. "Preludes to Mastery" features piano solos in Baroque, Classical, Romantic, and Contemporary styles. Book 2 is at the intermediate level and includes key signatures of up to five sharps and six flats. ​Click HERE to watch these pieces on YouTube. "Toe-Tappin' Tunes for Two" features six, evenly-leveled duets for late elementary piano students. Each duet is inspired by a different dance--from the boogie to the waltz! ​Have video game lovers in your studio? Of course you do! "Let’s Quest!" is a collection of video game inspired showcase solos that will delight late beginners of all ages! Click on the cover to see and hear the music, or click HERE to watch these pieces on YouTube. Looking for more video game inspired solos? "Let’s Quest! Volume 2" is a collection of eight solos and two duets at the early intermediate level--perfect for gamers and fans of sci-fi and fantasy of all ages! Looking for even more video game inspired solos? "Let’s Quest! Volume 3" is a collection of eight solos and two duets at the intermediate to late intermediate level--perfect for gamers and fans of sci-fi and fantasy of all ages! Are your beginners ready to rock? Beginners of all ages will love this collection of ten easy solos that all include a rockin’ teacher duet part to maximize the fun! Click on the cover to see and hear the music. Ready to rock and roll? This collection will delight late beginners and early intermediates who are itching to play cool rock and pop-style tunes from a variety of genres. These ten showcase solos will please even the pickiest of students and will be a hit at your next recital! ​Click on the cover to see and hear the music, or click HERE to watch these pieces on YouTube. ​The highly-anticipated follow up to "Rock On!" is here! This collection of nine pop & rock showcase solos will delight intermediates of all ages in your studio. Keep your late intermediate students rockin' (and improving their piano skills) with "Rock On! Volume 3!" This collection contains ten showcase solos in rock, pop, and blues styles. ​Click on the cover to see and hear the music, or click HERE to watch these pieces on YouTube! ​"Easy Perfect Patterns" is a collection of twelve fun showcase-style solos for mid- to late beginners. Featuring a wide variety of styles, these pattern-based pieces make great selections for recitals or festivals! "Perfect Patterns" is a collection of twelve exciting showcase-style solos for late beginners to early intermediates. Covering a wide array of styles, these pattern-based pieces are recital showstoppers! 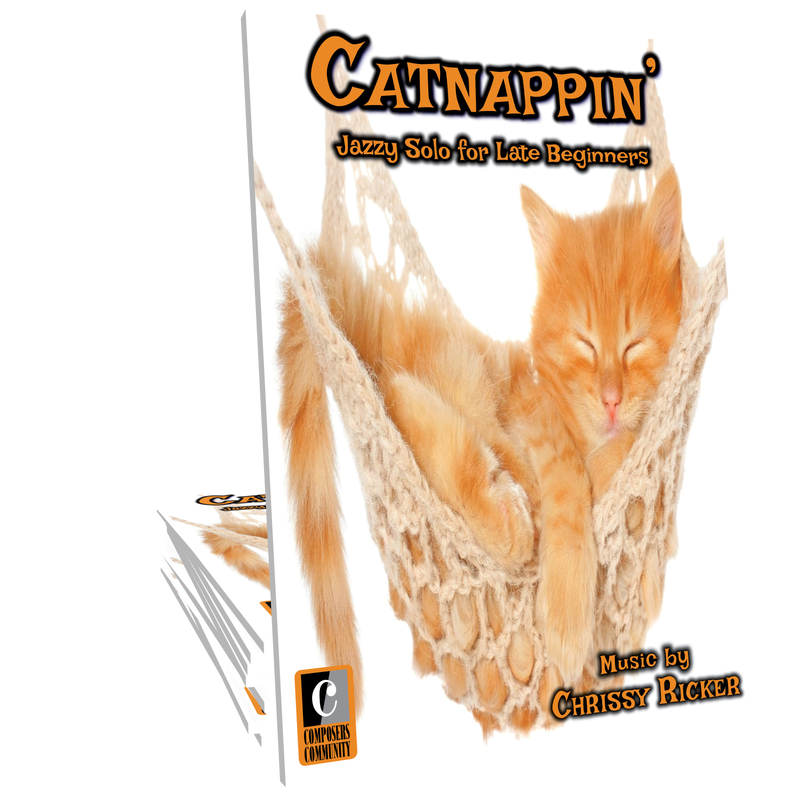 "Cool Cats" is a collection of eleven jazz-style showcase solos dedicated to fur babies of the feline persuasion. This songbook is ideally suited for early intermediates and also includes a suggested listening guide covering the genres presented within the book. "Hit Singles" is the solution to the perennial “broken-arm conundrum” in your studio! This collection features twelve one-handed showcase solos which can be played with either the left or right hand. These would also make great technical exercises for students that want to build agility in each hand. ​"Medley Magic" features nine showcase-style medleys of classic holiday tunes. Ideal for advancing early intermediates, these pieces will be a delightful addition to your next holiday recital. "Medley Magic, Volume 2" features nine artfully arranged intermediate solos that combine traditional holiday favorites with well-known classical melodies. These showcase-style solos will be a hit at your next holiday recital! watch these pieces on YouTube. What could be nicer than a cat nap on a lazy afternoon? This laid-back jazz piece is sure to be a hit with early intermediates of all ages! ​Inspired by the paintings of Monet, this contemporary lyrical solo encourages artistic playing in late beginners and early intermediates of all ages. ​Knock, Knock, Knock! is an evenly-leveled duet for late beginners. This piece is sneaky, jazzy fun for all ages! Into the Storm is a fast and flashy showcase solo for elementary piano. Quick chromatic patterns and showy hand crossings give this piece virtuosic appeal! 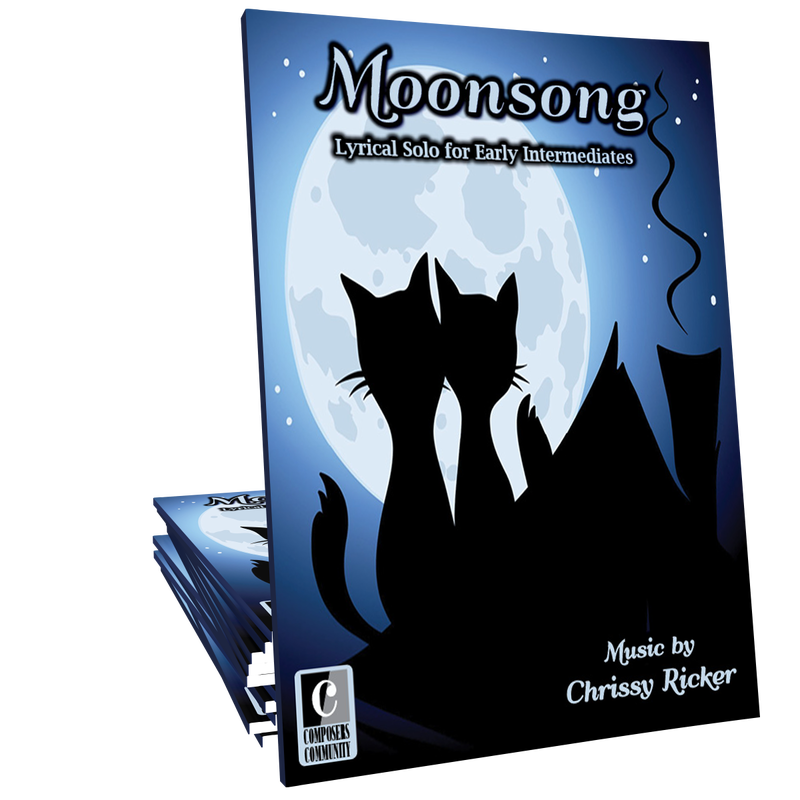 ​Moonsong is a dark, contemporary lyrical solo perfect for encouraging expressive playing in early intermediates of all ages. ​Epic is a driving, rock-style solo for late beginners to early intermediates. This high-energy piece introduces students to elements of harmony, rhythm, and form commonly found in rock music. 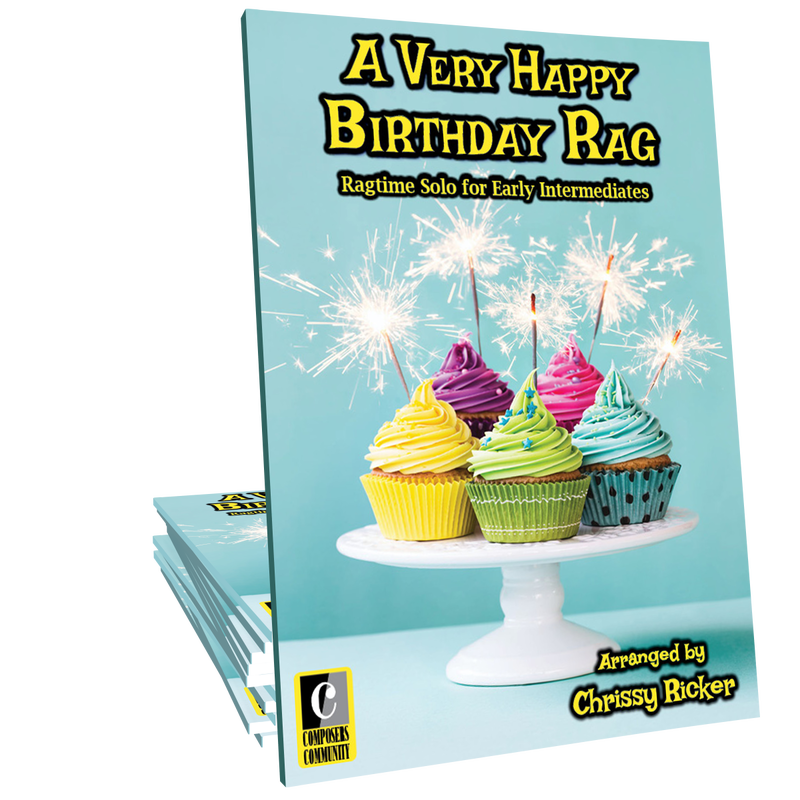 ​Every pianist needs "Happy Birthday" in their repertoire, and this ragtime version is a fresh take on the familiar classic! Perfect for early intermediates of all ages. ​This fun ragtime piece is a playful nod to Grieg’s “In the Hall of the Mountain King.” A perfect early intermediate showcase solo for Halloween, or any time of year! ​This jazzy take on the holiday classic can be performed as a duet or as a trio! 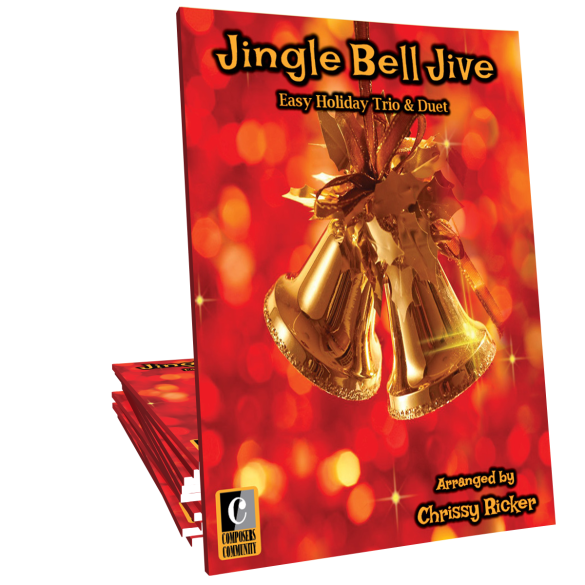 “Jingle Bell Jive” is a toe-tapping ensemble piece arranged for two or three beginners. 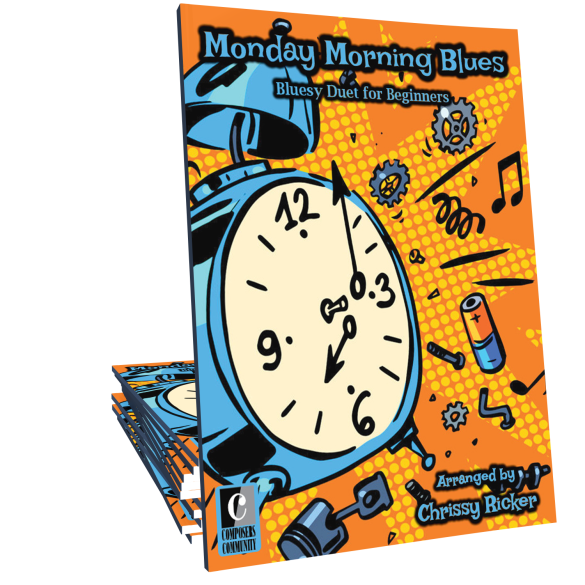 ​"Monday Morning Blues" is an evenly-leveled duet for two beginners. Students of all ages will love this jazzy take on Grieg’s famous Morning Theme from Peer Gynt! Many more of Chrissy's works for piano solo, piano duet, and chamber groups are available for purchase through SMP Press, a division of Sheetmusicplus.com.